The field of nuclear and radiochemistry is wide-reaching, with results having functions and use across a variety of disciplines. Drawing on 40 years of experience in teaching and research, this concise book explains the basic principles and applications of the primary areas of nuclear and radiochemistry. 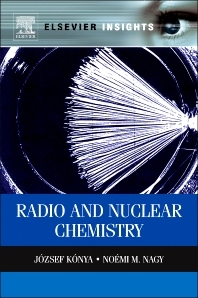 Separate chapters cover each main area of recent radiochemistry. This includes nuclear medicine and chemical aspects of nuclear power plants, namely the problems of nuclear wastes and nuclear analysis (both bulk and surface analysis), with the analytical methods based on the interactions of radiation with matter. Furthermore, special attention is paid to thermodynamics of radioisotope tracer methods, the very diluted system (carrier-free radioactive isotopes) and the principles of chemical processes with unsealed radioactive sources. This book will be helpful to students and researchers in chemistry, chemical engineering, environmental sciences, and specialists working in all fields of radiochemistry. Basic concepts are introduced and practical applications explained, providing a full view of the subject. Laboratory work with unsealed radiochemicals is discussed in details that can be applied in research and authority in the lab environment. Students and researchers in chemistry, chemical engineering, and specialists working in any fields of radiochemistry such as agriculture, geology, medicine, or physics. József Kónya is the professor of radiochemistry in the Isotope Laboratory of Colloid and Environmental Chemistry, University of Debrecen, Hungary. He received his M.Sc. and Ph.D. in physical chemistry at the University of Debrecen. He has a D.Sc. degree of radiochemistry from the Hungarian Academy of Sciences. 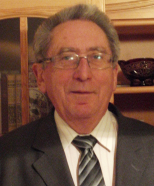 He has more than 50 years’ experience in nuclear and radiochemistry teaching. His research interest is the study of the interfacial processes of natural sorbents, including soils, rocks, clay minerals mainly by radioactive tracer methods. Recently, he has dealt with the principal studies of nuclear waste storage. He has written or co-written numerous peer-reviewed articles and is the co-author of four books in the fields of nuclear and radiochemistry as well as the interfacial chemistry of geological formations. Noémi M. Nagy is the professor of radiochemistry in the Isotope Laboratory of Colloid and Environmental Chemistry, University of Debrecen, Hungary. She received his M.Sc. and Ph.D. in radiochemistry at the University of Debrecen. She has a D.Sc. degree of agrochemistry from the Hungarian Academy of Sciences. She has approximately 30 years’ experience in nuclear and radiochemistry teaching. Her research interest is the study of the interfacial processes of natural sorbents, including soils, rocks, clay minerals mainly by radioactive tracer methods. Recently, she has dealt with the principal studies of nuclear waste storage. She has written or co-written numerous peer-reviewed articles and is the co-author four books in the fields of nuclear and radiochemistry as well as the interfacial chemistry of geological formations.